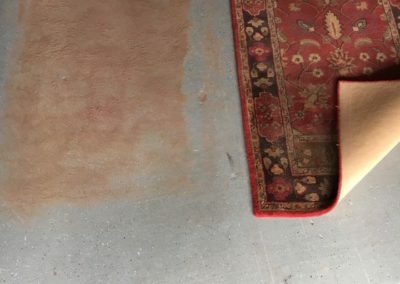 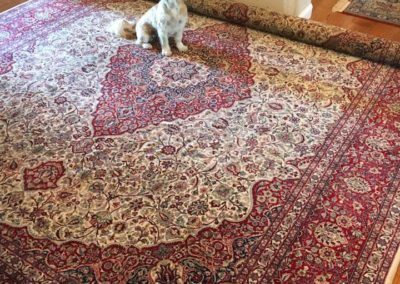 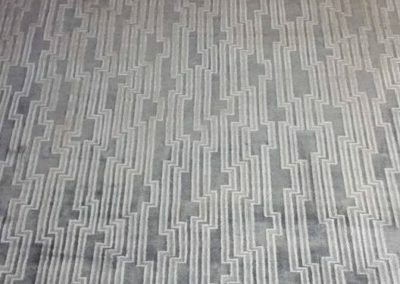 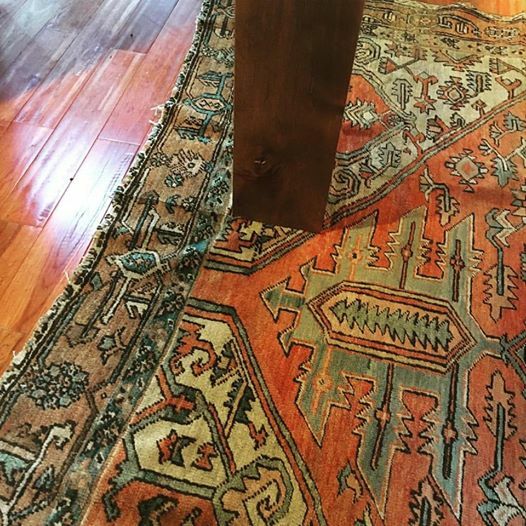 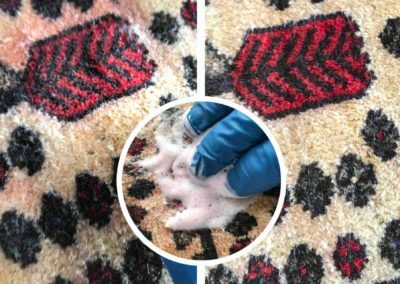 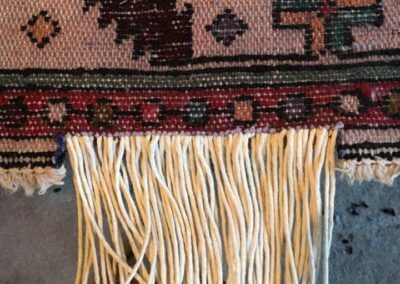 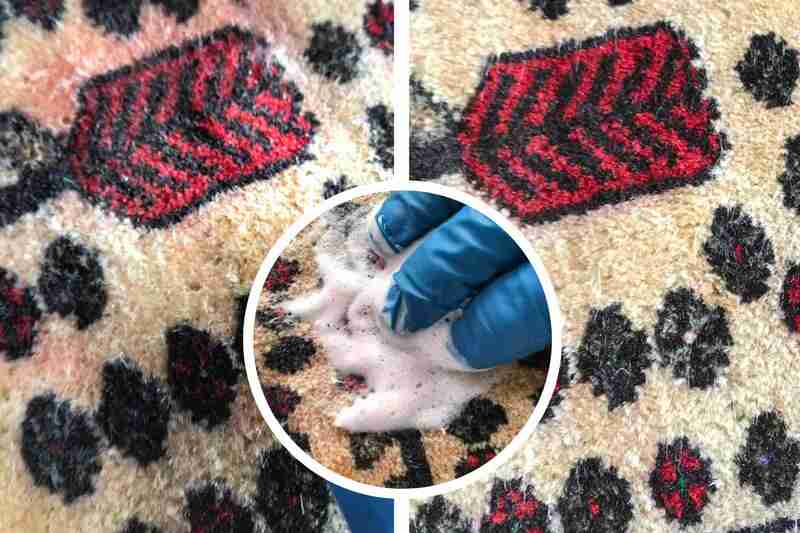 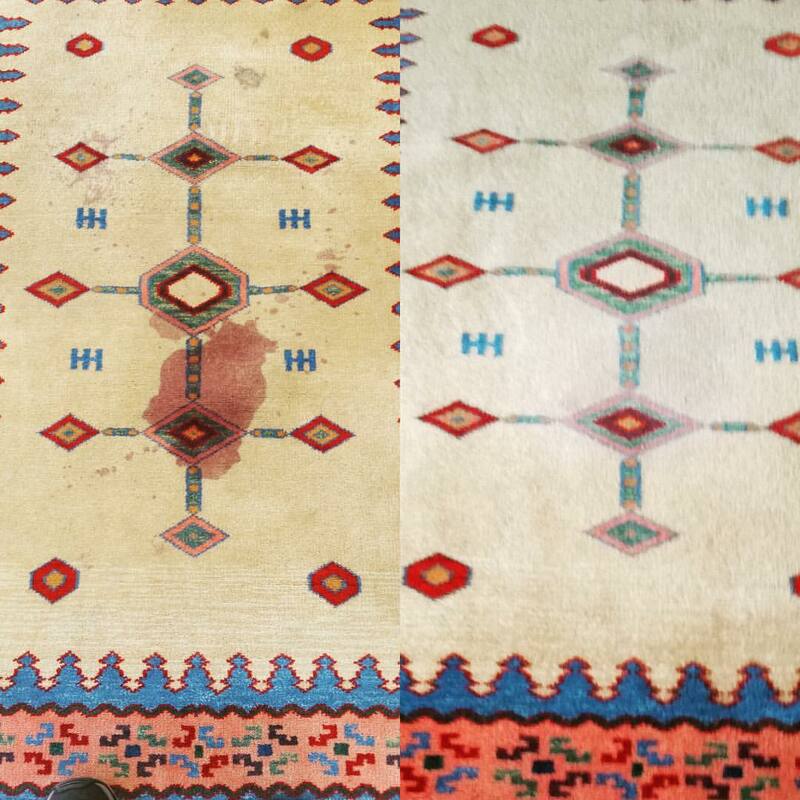  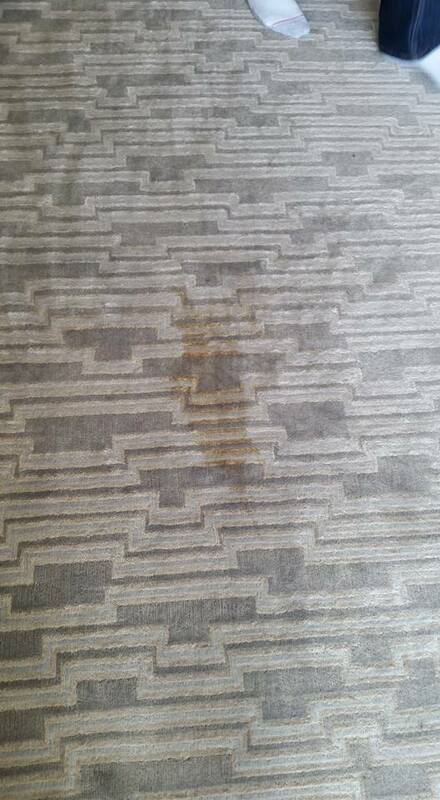 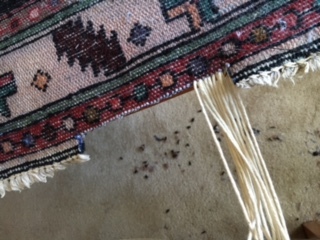 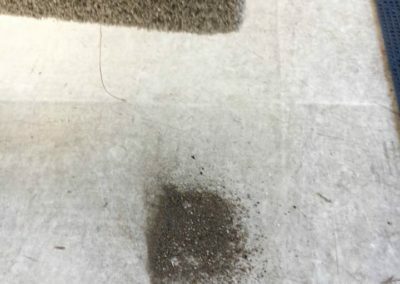 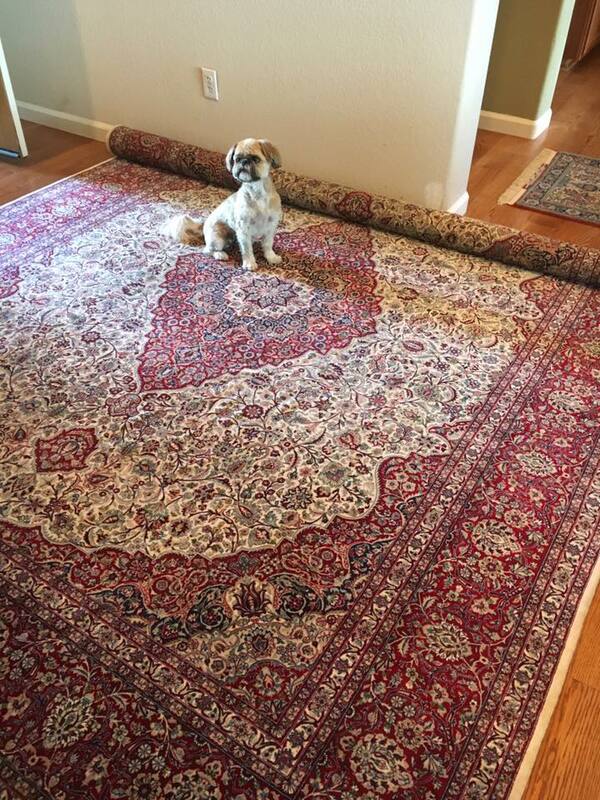 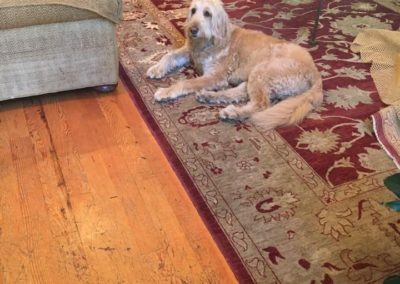 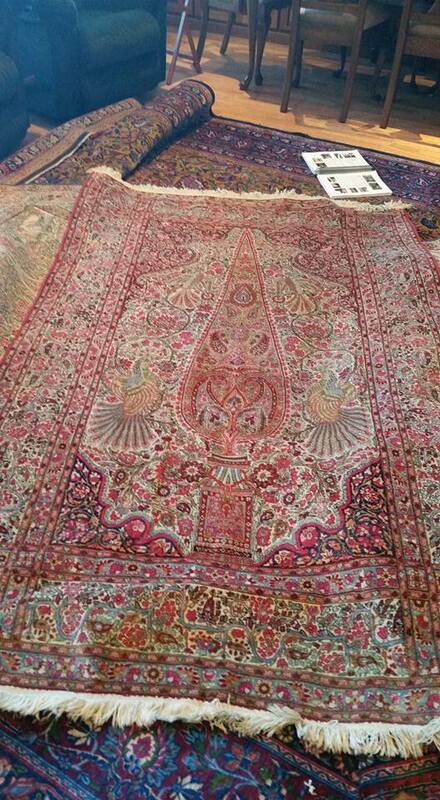 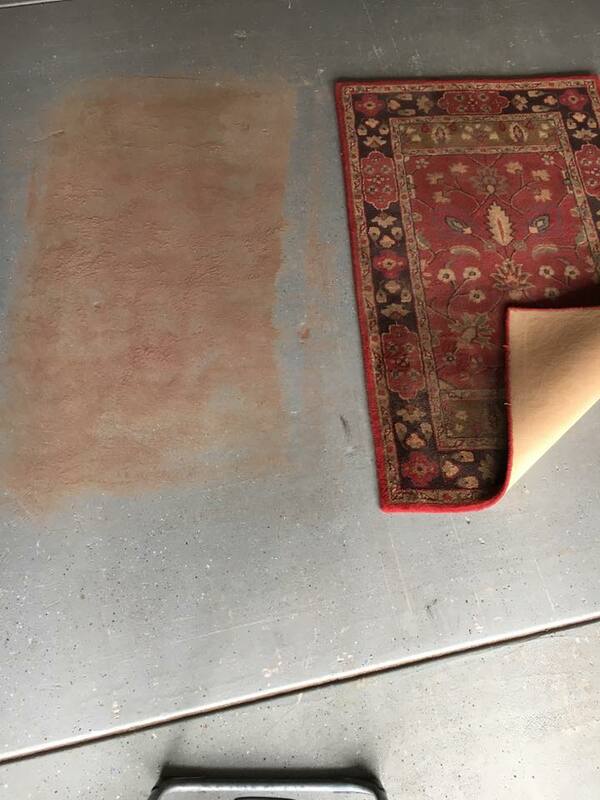 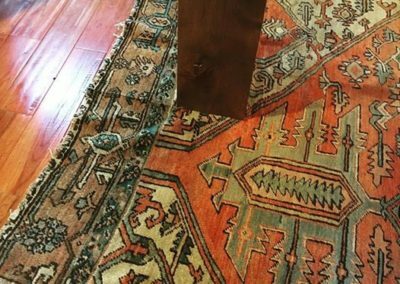 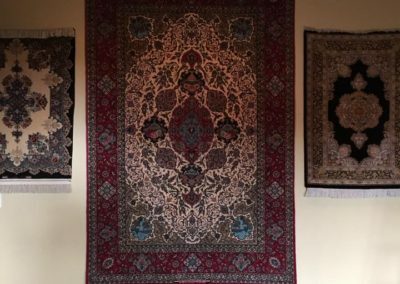 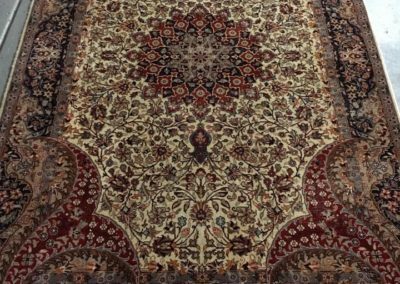 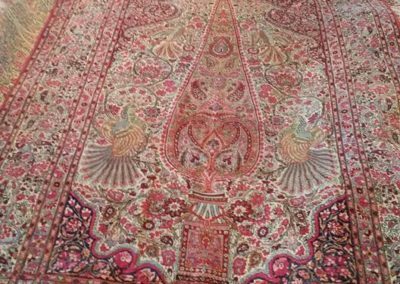 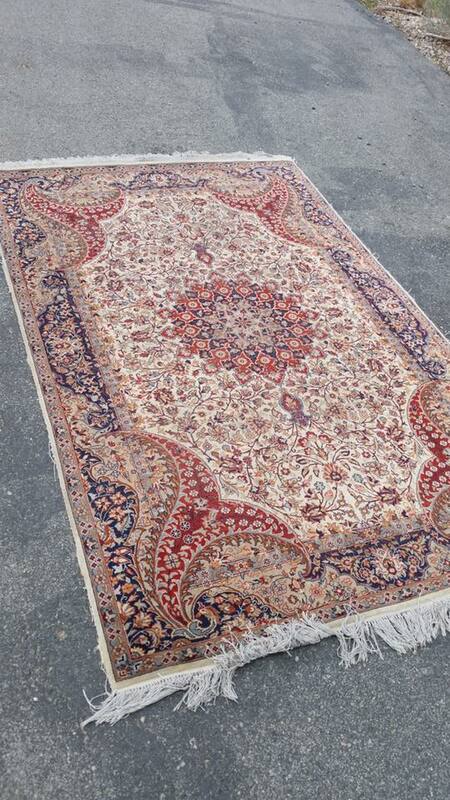 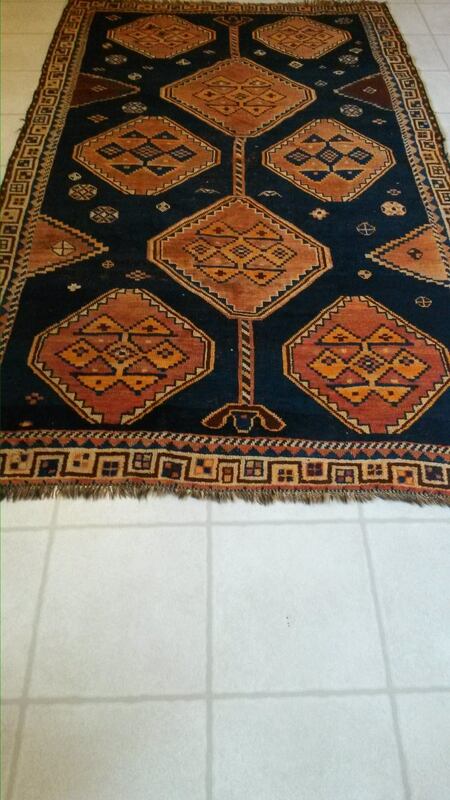 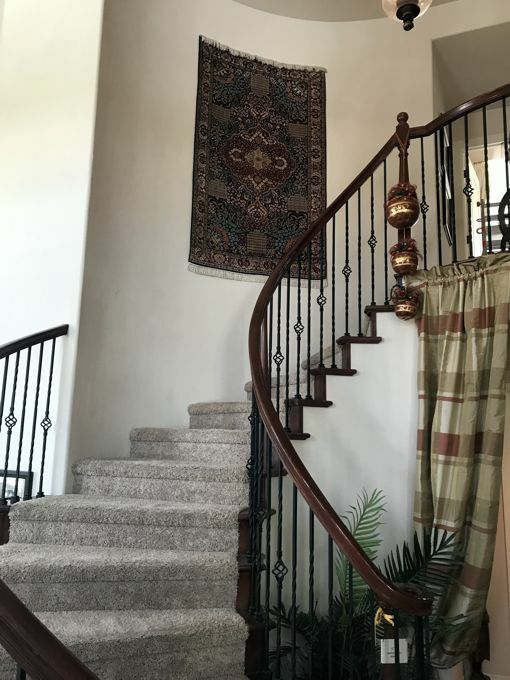 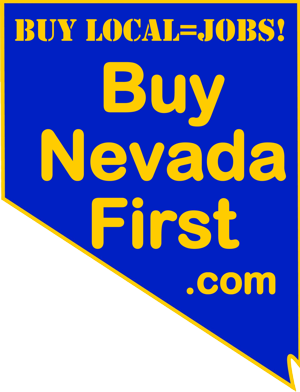 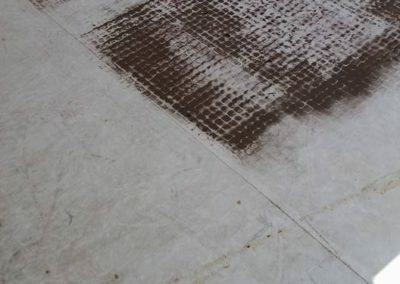 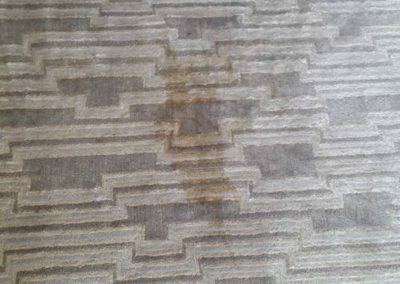 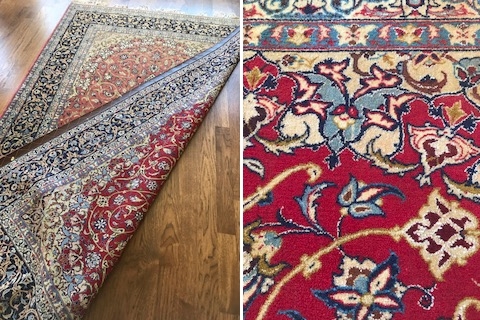 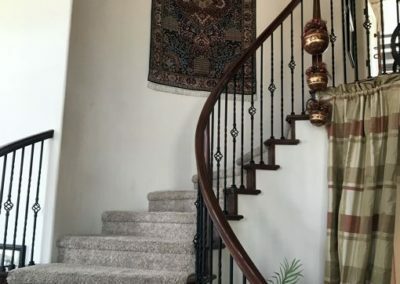 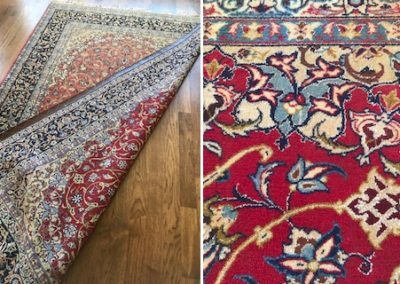 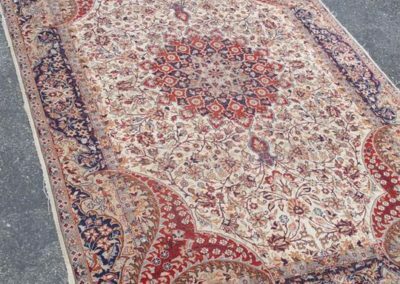 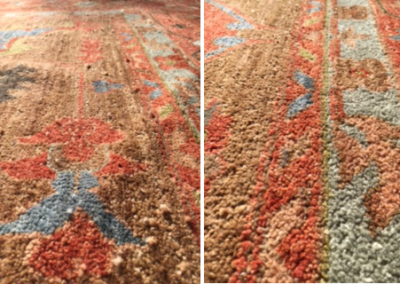 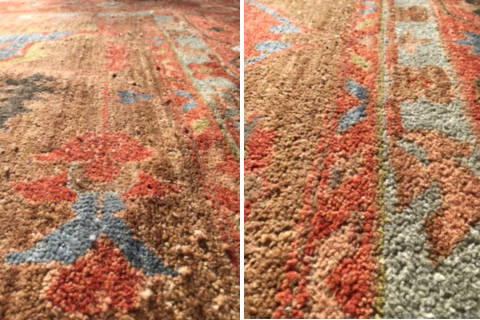 At Reno Oriental Rug Wash we take great pride in achieving the best results for our clients whether we are cleaning or repairing fine area rugs. 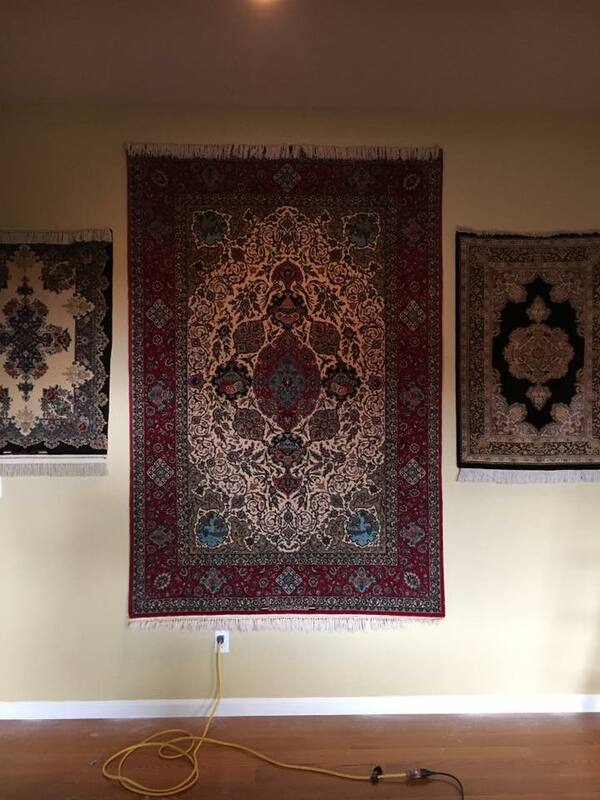 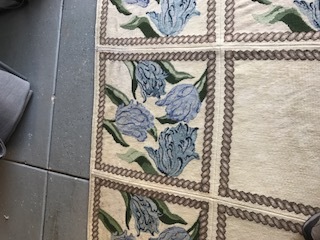 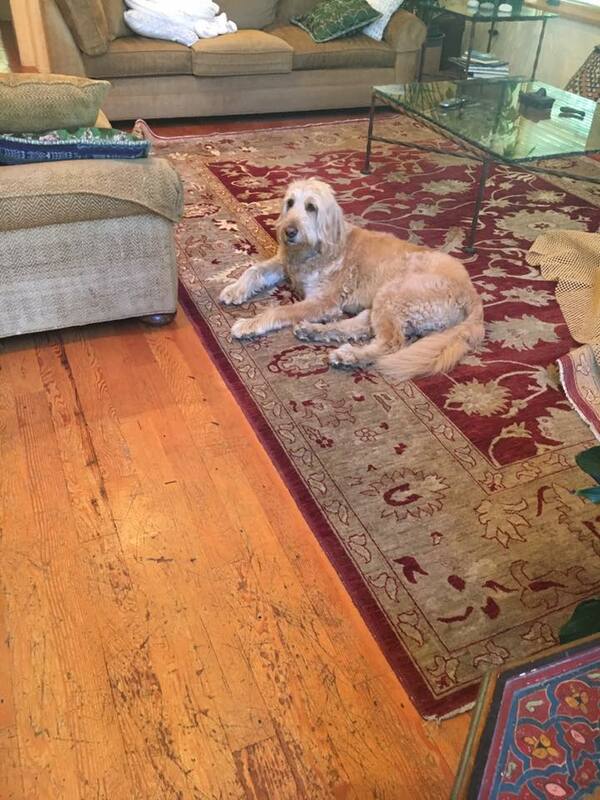 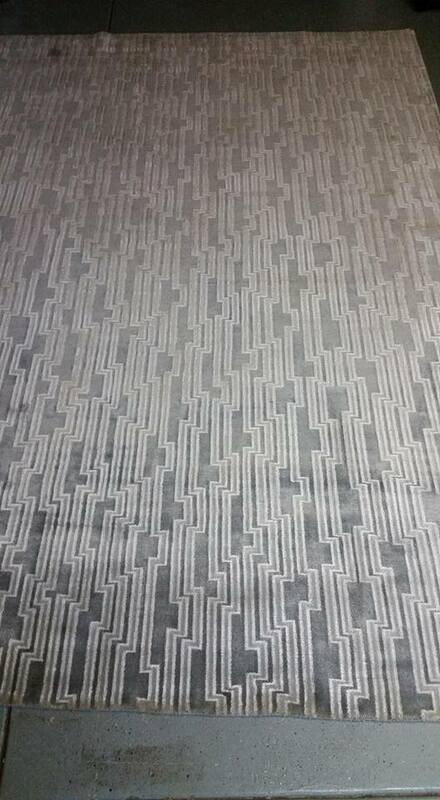 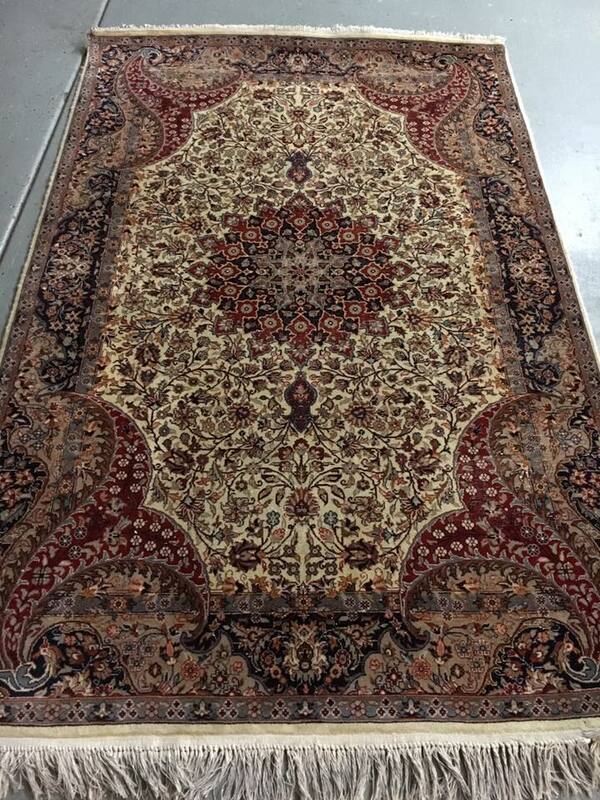 We have shared a few images below of some of beautiful area rugs that have been entrusted to our care. 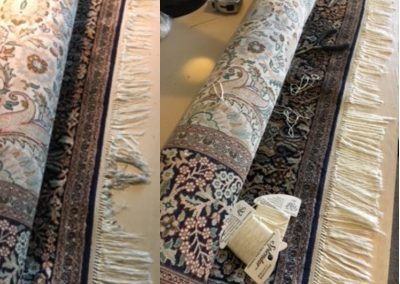 Poor work done by Dry Cleaner. 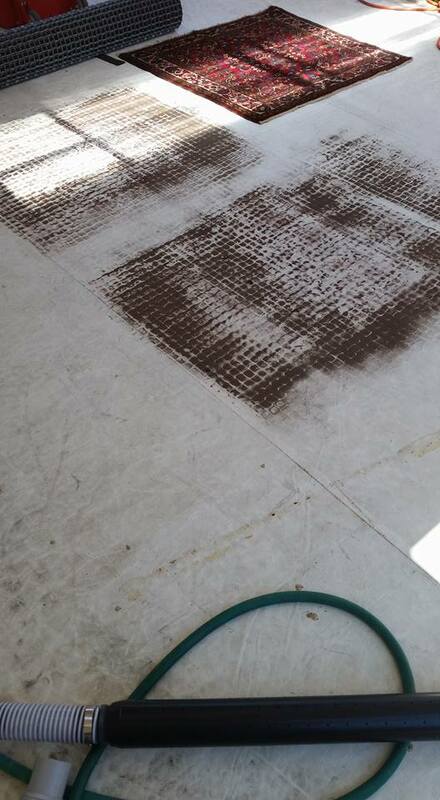 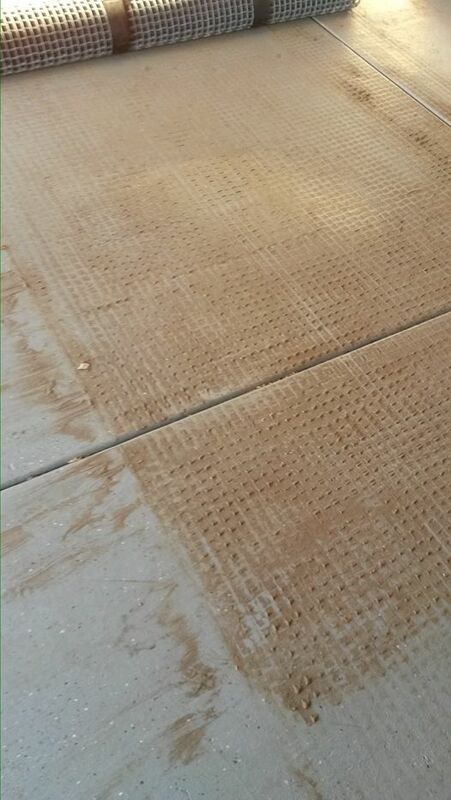 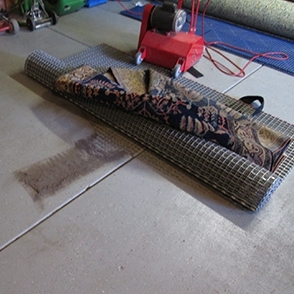 Soil removed from Shag rug. 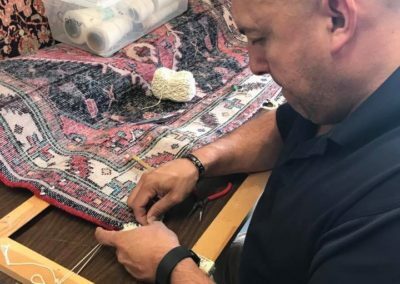 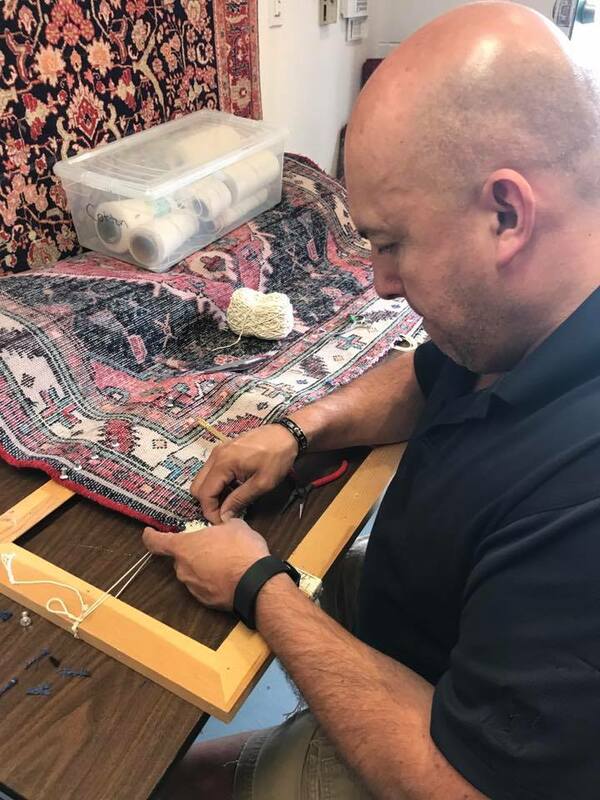 Alex Flores repairs a rug. 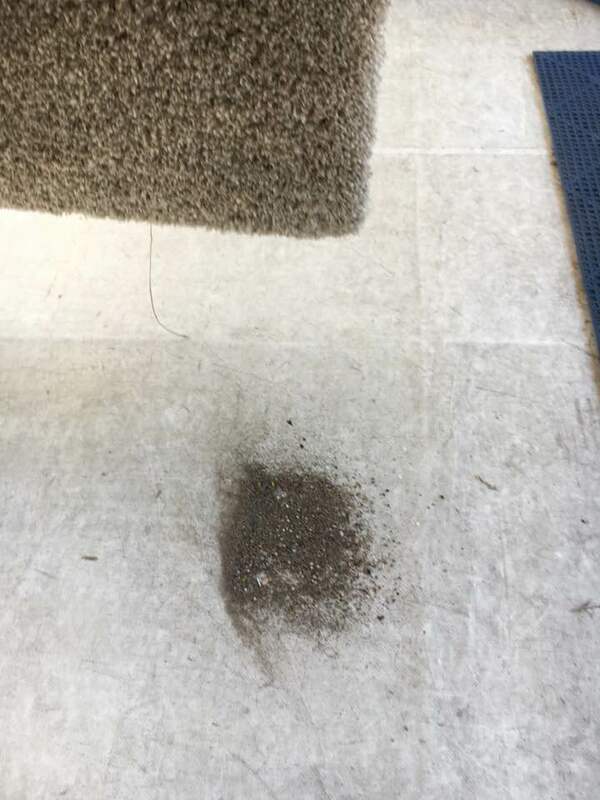 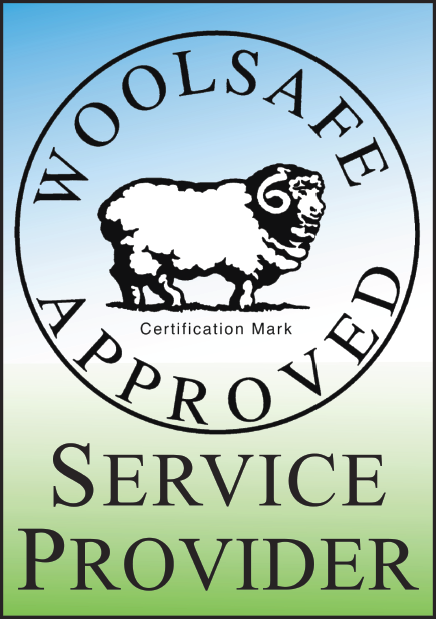 Ask about our pet odor removal. 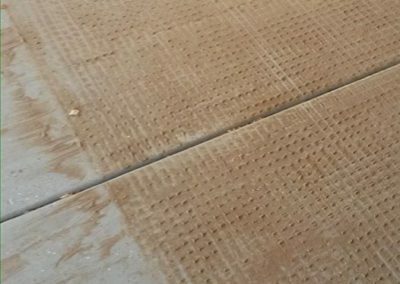 Dry soil removed from Kirman. 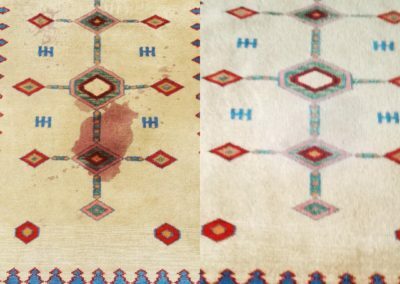 Before and after wine spill. 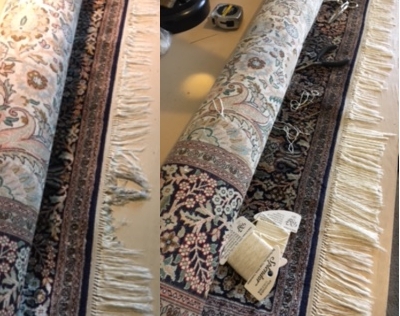 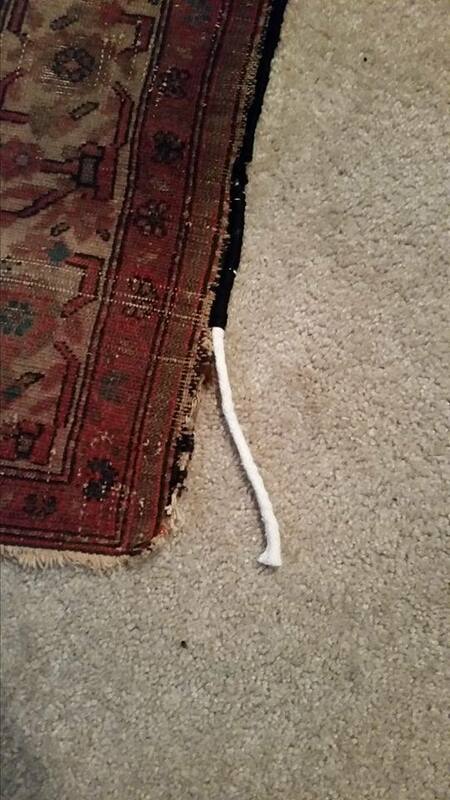 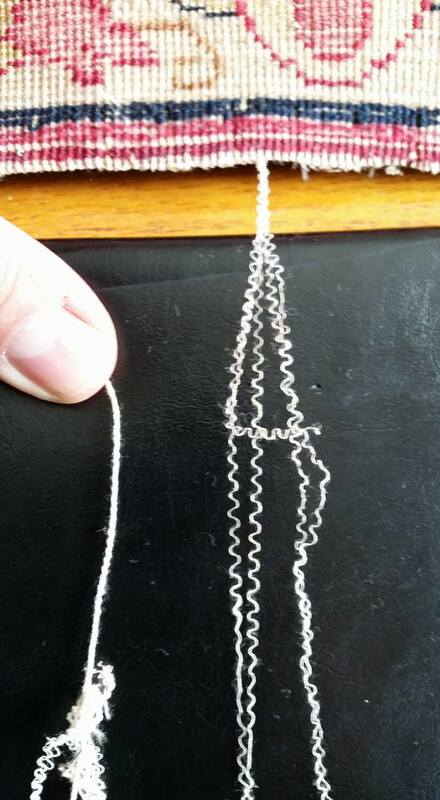 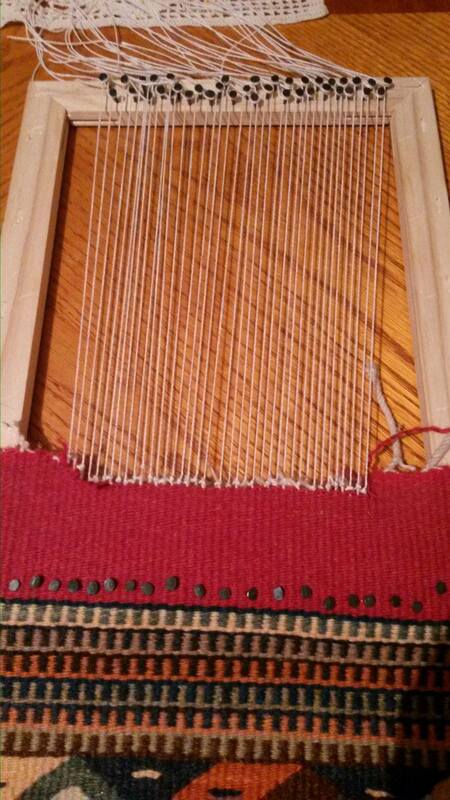 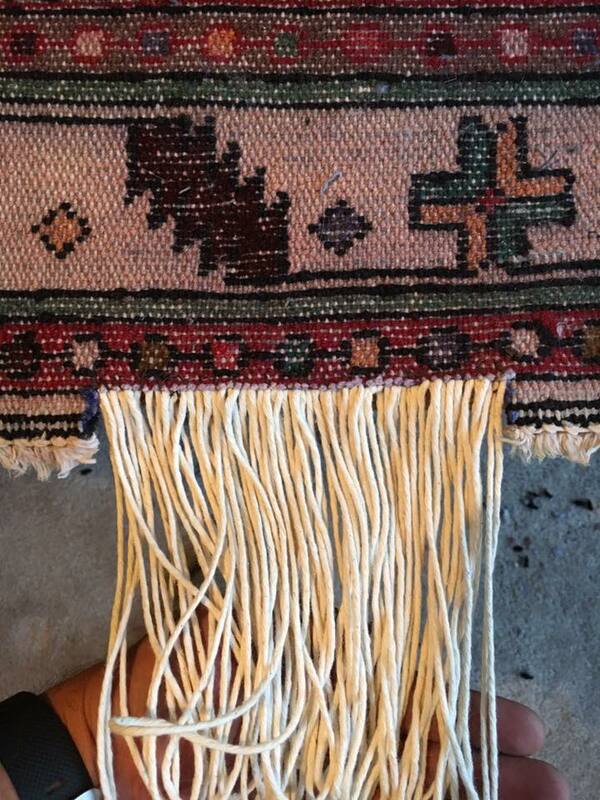 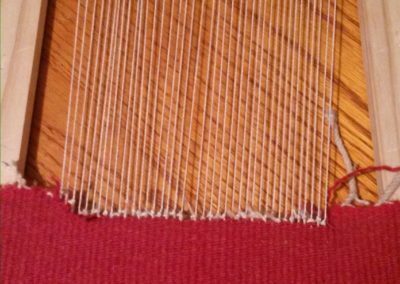 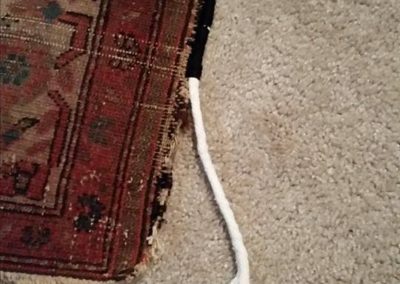 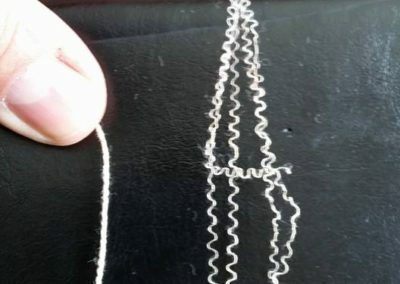 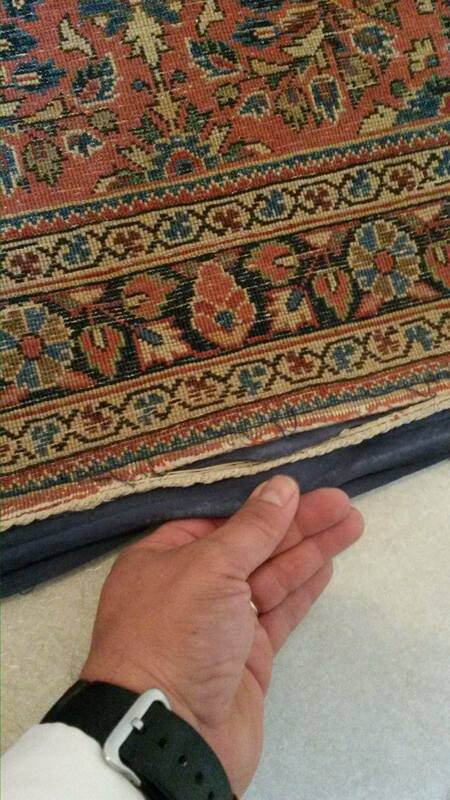 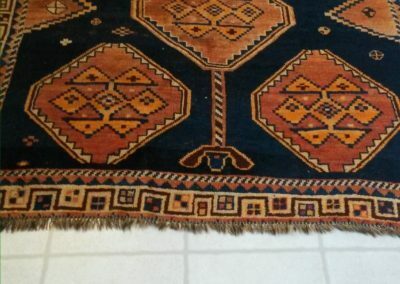 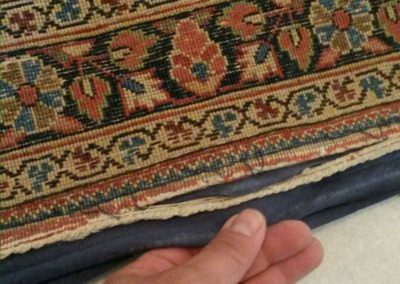 Side cord repair on 1890’s rug.